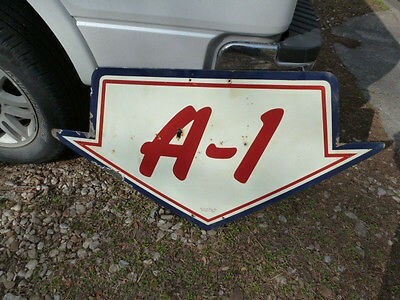 The A 1 Arrow is pointing down towards the ground. The arrow is primarily white, but it has a blue and red line boarder. The text is written in a cartoonish way. The sign measures 24″ x 48″.